Believe it or not, cauliflower can be added to pretty much any dish you want, from your favorite curry to burritos. 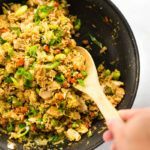 Cauliflower makes a delicious low-carb option. 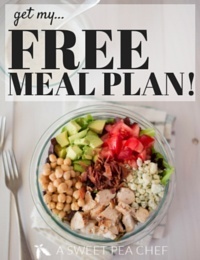 Trust me, after trying my 10 Easy and Delicious Cauliflower Recipes, you’ll never look at a cauliflower head the same way again! I’ve asked myself this same question before, and still, every time I’m cooking cauliflower, I manage to surprise myself. A head of cauliflower can go a long way. I simply love it and, as you already know, I don’t like to overcomplicate things. 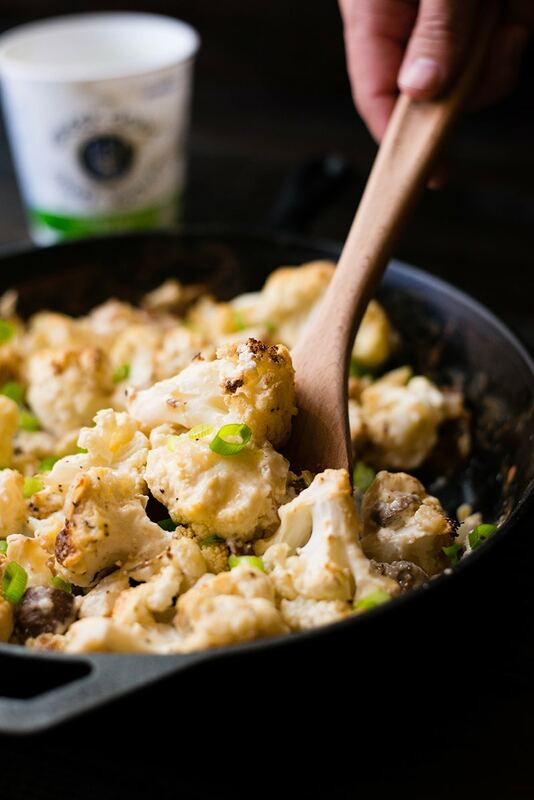 Just look at my Easy Parmesan Roasted Cauliflower recipe alongside some lean protein like chicken or fish — cauliflower helps to make any meal a well-balanced, quick to make, and absolutely tasty meal. 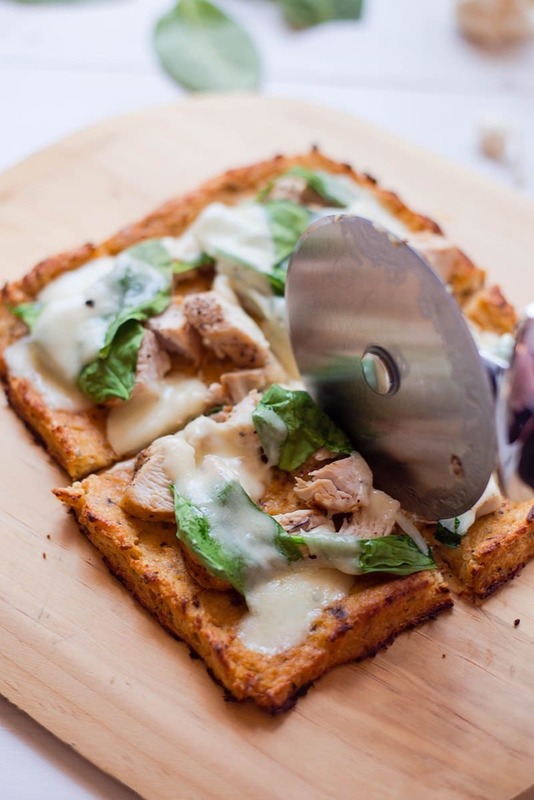 The great thing about cauliflower is that it’s so versatile! 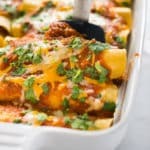 You can turn it into pretty much anything you want, which is just perfect if you want to still enjoy your favorite comfort food like pizza or even burgers (yes, burgers!) while maintaining a healthy lifestyle. 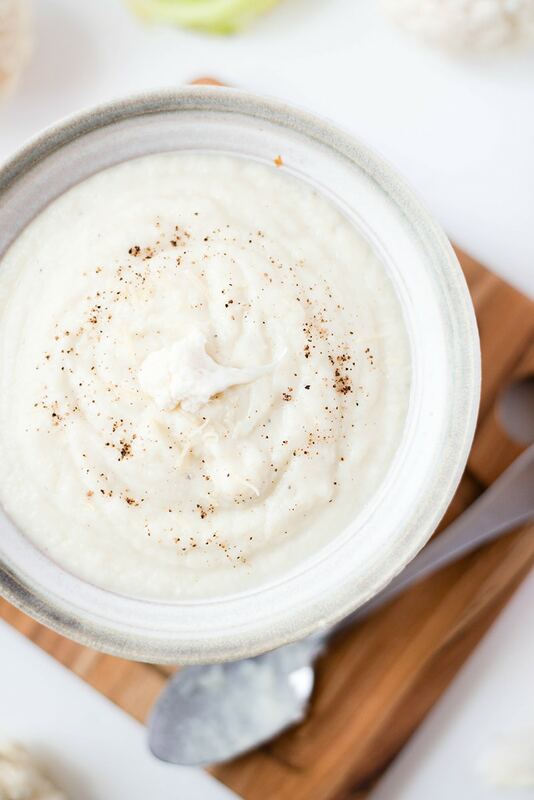 The mild flavor of cauliflower makes it perfect for so many different cauliflower recipes. 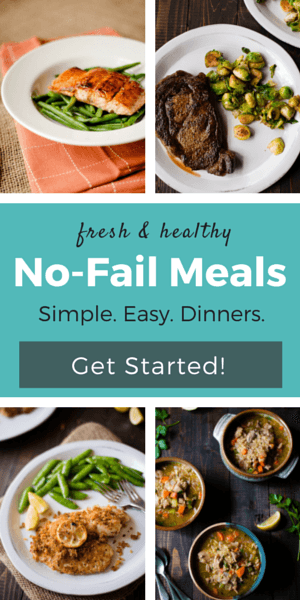 Since cauliflower is so adaptable it is easy to create many delicious cauliflower meals. 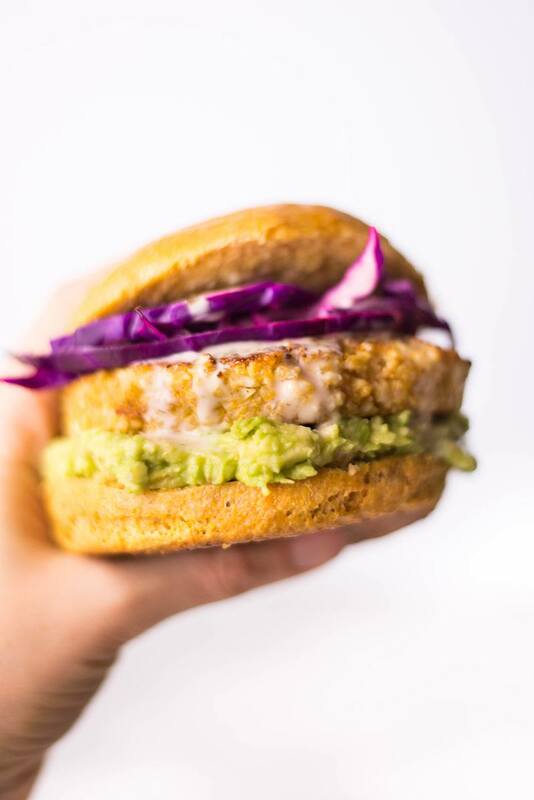 The possibilities are literally endless when it comes to cauliflower recipes. Oh, the possibilities! 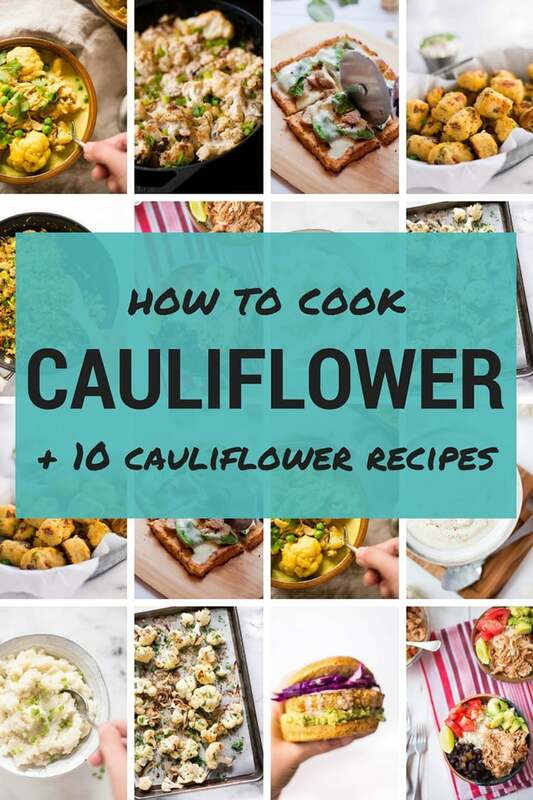 I don’t even know where to start the how to cook cauliflower discussion. The simplest way would probably be to just boil it on the stove or steam it, which will preserve all the healthy nutrients. 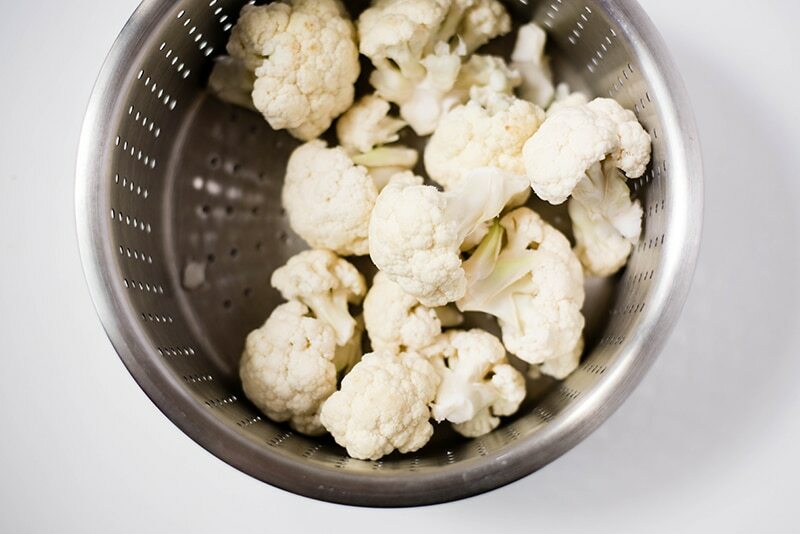 Cooked cauliflower makes a quick veggie side dish, but can also be used to give that extra punch of flavor to some of your favorite dishes. I love adding it to my Cauliflower Cheese Sauce. 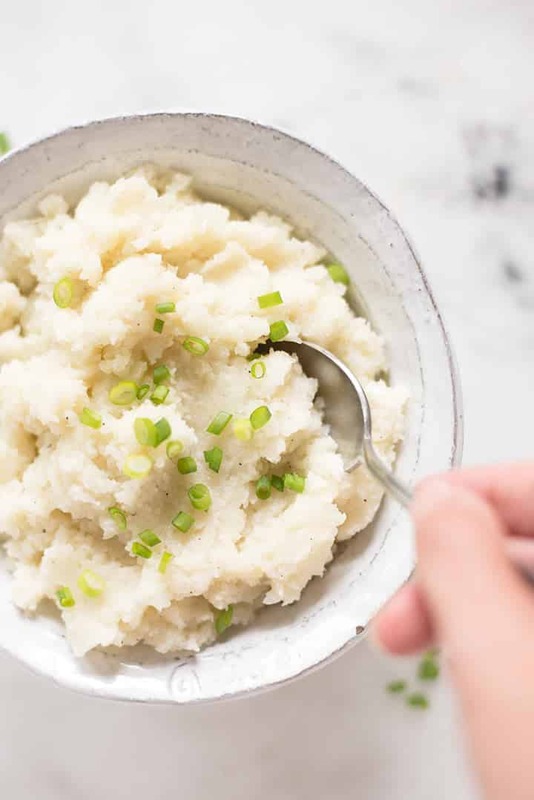 A simple, easy to make Cauliflower Mashed Potatoes, for example, makes a great side dish and don’t even get me started on Cauliflower Rice! 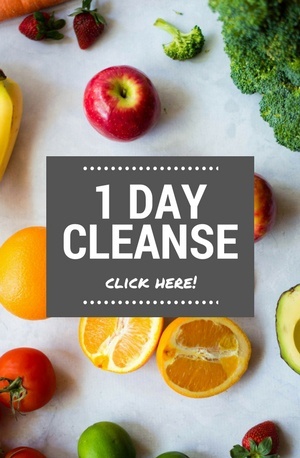 provides high levels of vitamins and minerals. 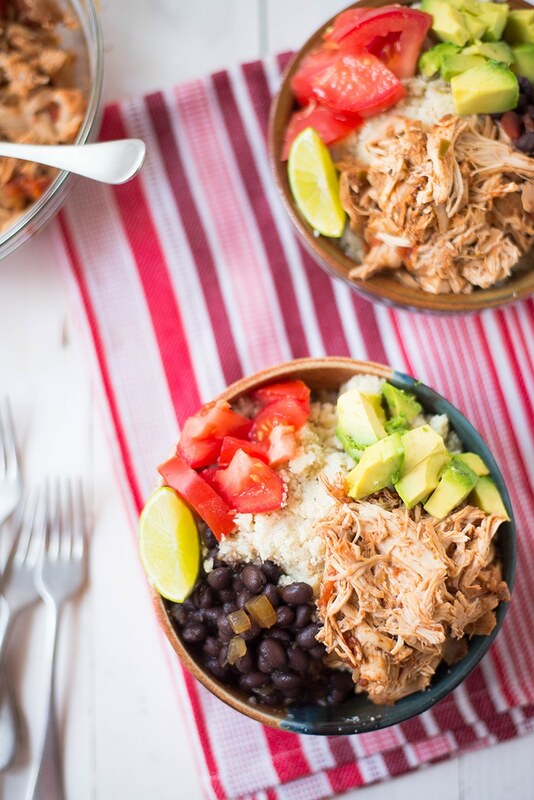 This means that, not only will adding cauliflower to your diet helps you stay on that healthy path, but it will also add a great, creamy texture to your dishes. Forgive yourself if you’ve ever felt a bit intimidated when looking at a head of cauliflower. 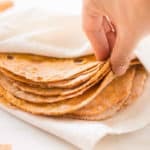 Holding a large kitchen knife in your hand, if you don’t know where or how to start to get those pretty, bite-sized florets, it can be a little overwhelming. The good news is that it’s actually easy once you know how to cut up cauliflower. Just follow my simple steps for how to cut cauliflower into florets. Start by removing all the leaves that may be covering up the cauliflower head. Grab a large knife (preferably a chef’s knife if you have it, but any other large knife will do, too) and cut the cauliflower head in half, from top to bottom through the core. Continue by chopping the halves in half. This is the best time to wash your cauliflower as you can easily rinse off all the grit. From here, you can easily slice off the cauliflower florets from the stalk. You can continue breaking down the florets until you reach the desired size by using the tip of your knife. And that’s it! You’re done. You learned how to cut up cauliflower and you are ready to start cooking! 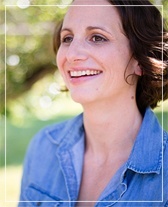 I could really go on and on about my love for cauliflower, but I’m sharing some of my tips on how to cook cauliflower, how to roast cauliflower, how to steam cauliflower, and how to easily include it into your day-to-day diet by sharing 10 of my favorite, absolutely mouthwatering cauliflower recipes! 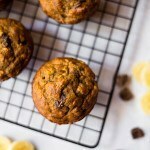 If you’re a fan of that nutty, buttery taste (and without all the nuts and butter! 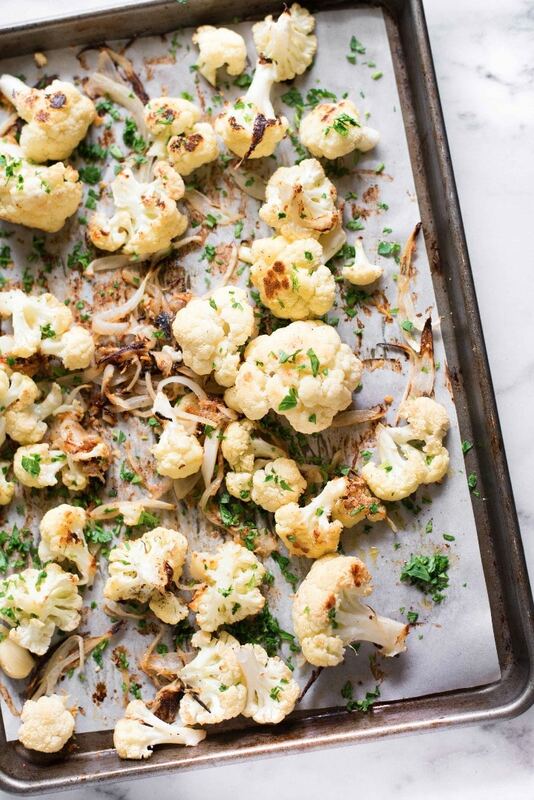 ), roasting cauliflower in the oven will soon become your go-to way of prepping this delicious cool-season vegetable. 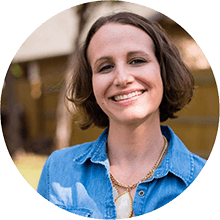 You can also turn your cauliflower into tater tots or learn how to rice cauliflower, just by following some very easy steps. P.S. 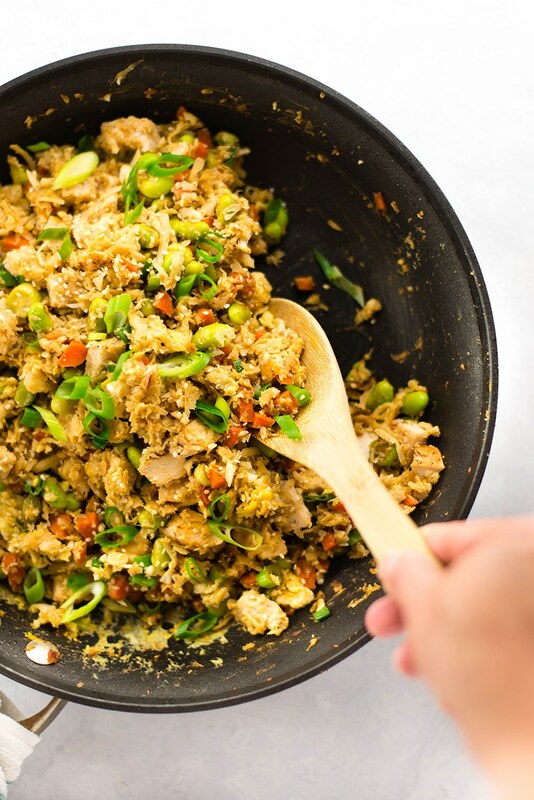 Once you’ve riced your cauliflower, turn it into a tasty pizza crust or fried rice for a whole new level of awesome. roast cauliflower in the oven, stirring occasionally for 35-40 minutes. 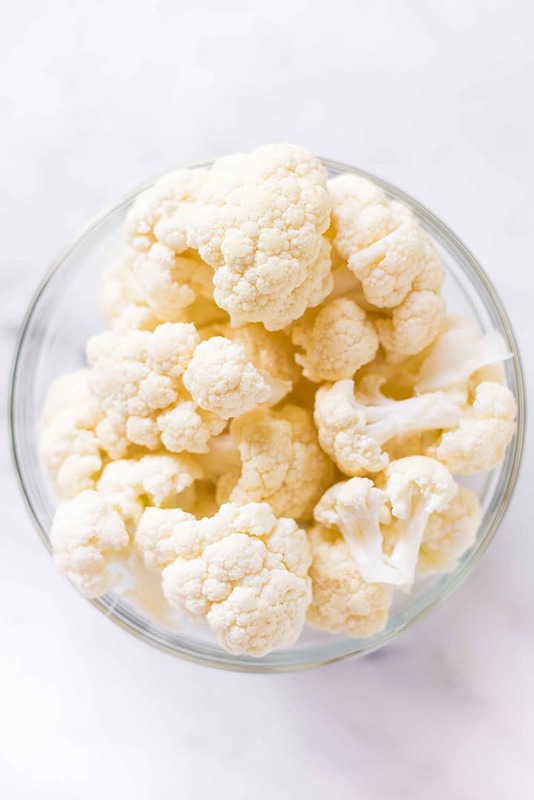 Steamed cauliflower is not as delicious as roasted cauliflower but you have to learn how to steam cauliflower because it makes a great base for many delicious recipes. 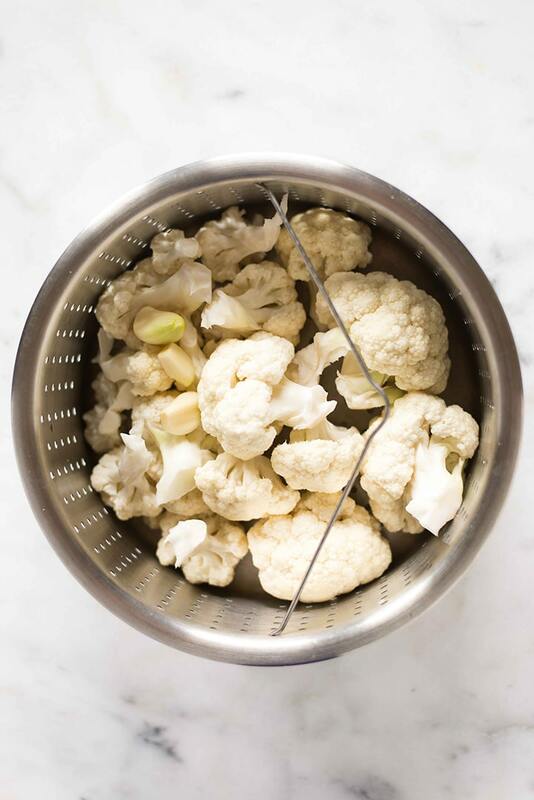 You can steam cauliflower in a pan or with a steamer basket. cover the pan with a lid and steam for 3-8 depending on your desired crispiness. For crisp-tender, 3 minutes should be enough but if you want the cauliflower to be soft, steam for up to 8 minutes. steam for 3-8 minutes. You already know – 3 minutes for crisp-tender, 8 minutes for fully tender. If you don’t like soggy, overcooked cauliflower, you might wonder what to do with cauliflower to be able to enjoy it. 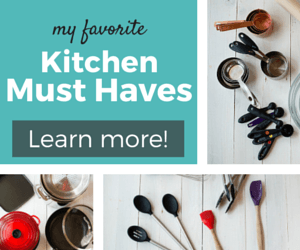 My answer is – blanch it! How do you blanch cauliflower? It’s easy. Very easy. 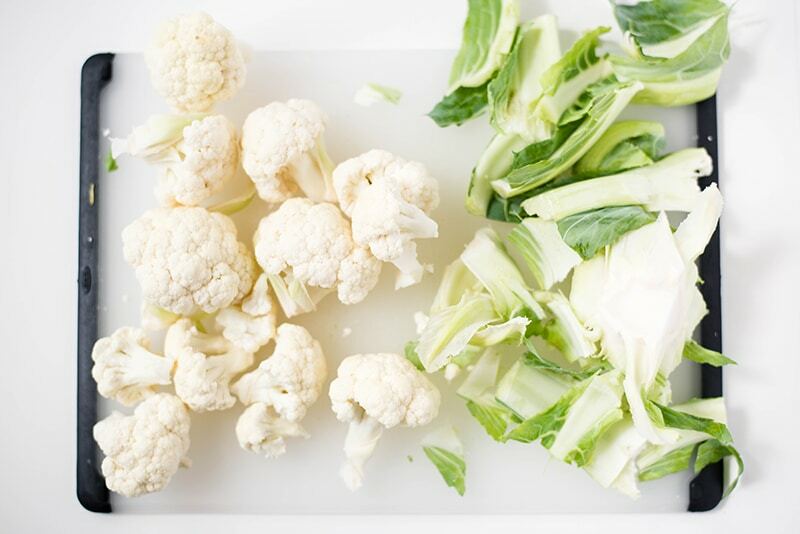 The first thing you have to do is to decide if you want to boil or to steam cauliflower. Once you decided, boil or steam the cauliflower until it’s tender. Then submerge the cauliflower in a bowl of ice water. 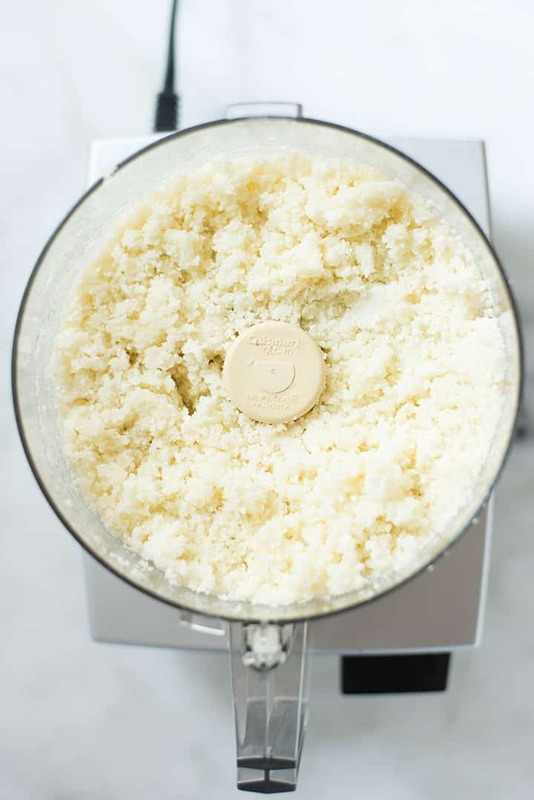 By doing this, you will stop the cauliflower from cooking further and the cauliflower will maintain its white color and it will no longer be mushy. Yes, you can totally freeze cauliflower. I know, it’s amazing. 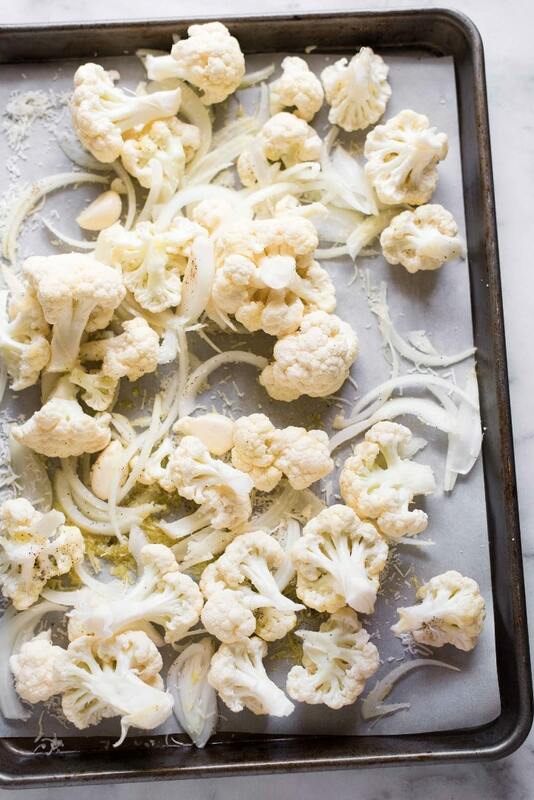 You can prep ahead so many wonderful cauliflower sides and mains and freeze them for later. YAY! place the cauliflower in the freezer. Any time you want, thaw the cauliflower in the fridge and serve it for lunch or dinner. 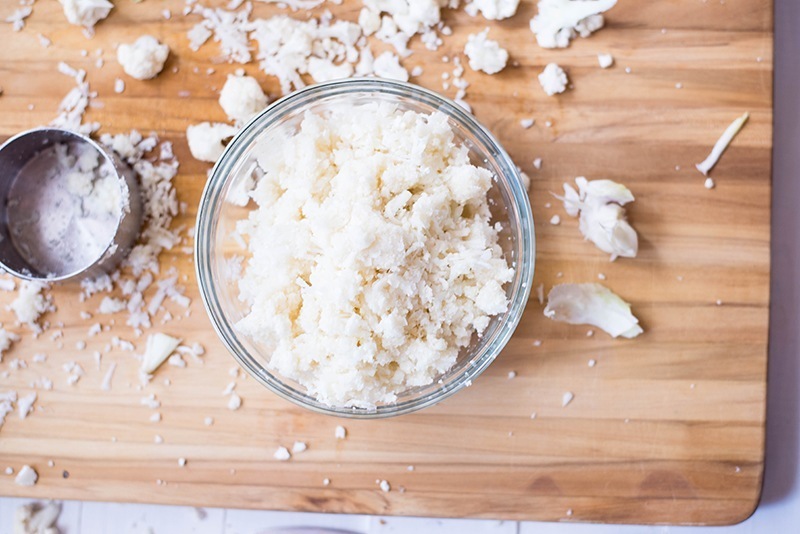 If stored properly in airtight containers, cauliflower will last for 3-5 days in the fridge. To extend the shelf life of cooked cauliflower, store it in the freezer. In the freezer, cauliflower lasts for up to 8 months. 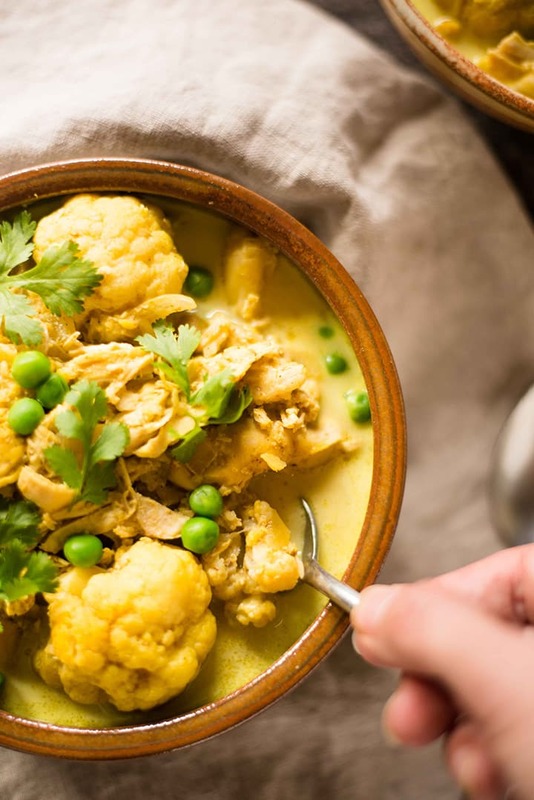 Believe it or not, cauliflower can be added to pretty much any dish you want, from your favorite curry to burritos. 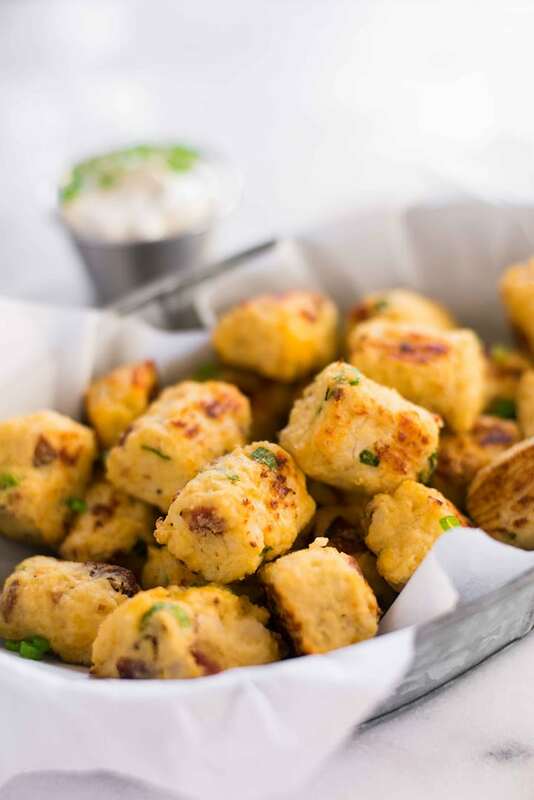 Cauliflower makes a delicious low-carb option. Trust me, after trying my 10 healthy cauliflower recipes, you’ll never look at a cauliflower head the same way again!